The information contained on this site is not offered as a substitute for professional advice. If you require professional advice on health, nutrition and diet, you should consult a qualified Accredited Practising Dietitian (APD). You will find these listed in the telephone book under dietitians- DAA. 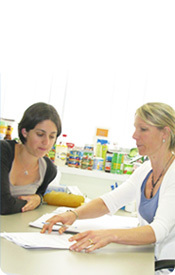 The Perth Diet Clinic has professionally qualified dietitians who consult on both an individual basis, as well as to industry and business and can assist you with a wide range of nutrition and food related health problems.